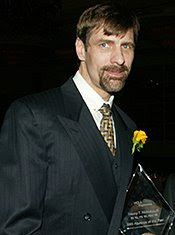 The Secret Diary of Steve Jobs : Leave Henry Nicholas alone! Much love to the many readers who have sent me links (like this one from The Smoking Gun) about my good friend Henry Nicholas of Broadcom. Oh, I know it’s great sensationalistic tabloid stuff. Guy’s a billionaire from Silicon Valley and he’s using Ecstasy and coke and meth. Somehow this is news? Do people have any idea how we roll out here? And do you have any idea how stressful these jobs are? Look. We work hard, we play hard. Society wants to start cracking down on that, well, fine, but all you’re going to do is slow down the pace of innovation and deprive yourselves of amazing products that restore a sense of childlike wonder to your lives. Also, FWIW, I know Henry pretty well and my opinion is he’s a great human being and an asset to society. It would be a shame to put him away. That’s all. Much love, Henry. My prayers are with you. » If you’re going to leave, leave. But don’t go around bitching about us.